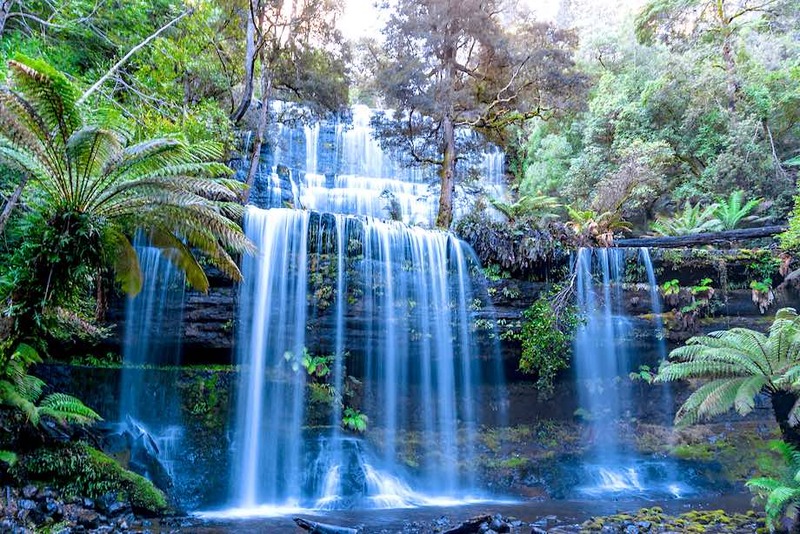 This Russell Falls Tour from Hobart will delight nature lovers and sooth your senses as you delve deep into the temperate rainforest of one of Tasmania's most exquisite wilderness regions. 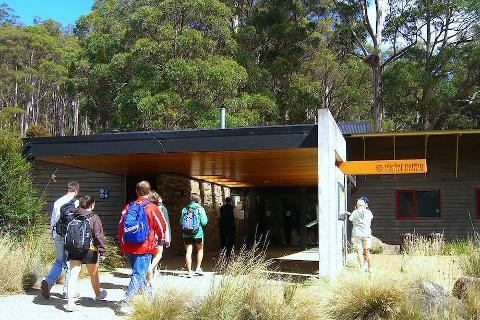 You'll have the services of a passionate local guide, who will point out places of interest en route to Mount Field National Park — home to the tumbling waters of Russell Falls. 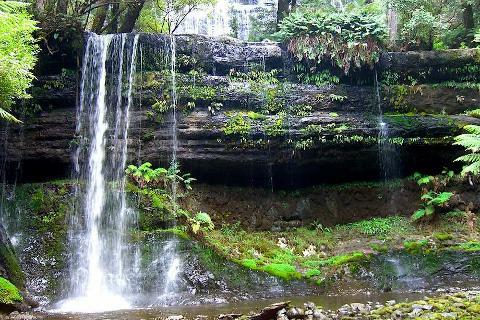 Surrounded by lush rainforest, the falls lie deep in an almost prehistoric world of soaring tree ferns, mossy logs and babbling streams. Enjoy this truly sublime experience! Once hotel pick-ups are completed, this Russell Falls Tour from Hobart heads north-west from Hobart through the beautiful Derwent Valley. Relax on board your comfortable coach as you pass through quaint towns and rolling green hills. 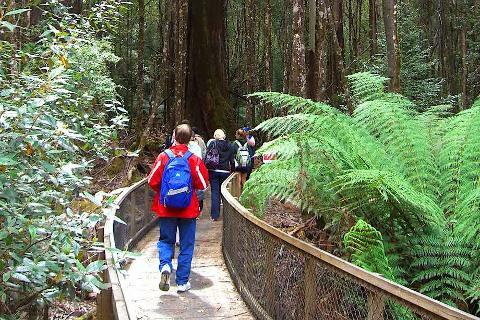 The pastoral landscape gradually morphs into the dense temperate rainforest of the Mount Field National Park. Birdsong and the rich scent of eucalyptus fill the air as you leave the coach and do a short walk to stunning Russell Falls. Stroll beneath the ancient forest canopy, before returning to Waterfalls Cafe at the visitor centre for lunch (own expense). All too soon it's time to depart the national park and begin the journey home to Hobart. On the return trip to Hobart, there may be an opportunity to purchase fresh raspberries from a roadside stall (seasonal). 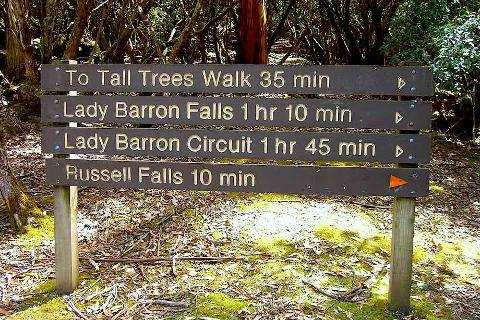 This Russell Falls Tour from Hobart ends back in the CBD at around 4pm. If you plan to head out afterwards for dinner, ask your guide for a restaurant recommendation! * Please note: The itinerary provided may change due to weather conditions and operational requirements.